Knight Frank Singapore, the exclusive marketing agent representing the interests of the owners of Chancery Esquire via their collective sale committee, is pleased to announce the launch of the sale of Chancery Esquire, an exclusive freehold residential redevelopment site along Chancery Lane, by tender. Chancery Esquire is a private residential estate comprising a block of 31 apartment units ranging from 84 sq m to 158 sq m, and has a site area of 2,696.3 sq m (approx. 29,022 sq ft). The site is regular with 50 metres’ frontage onto Chancery Lane. Under the 2014 Master Plan, the site is zoned “Residential”, with a Gross Plot Ratio (GPR) of 1.4. Based on the existing Gross Floor Area (GFA) of 4,476.87 sq m and assuming an average size of 70 sq m, the site could potentially yield 63 new residential units upon redevelopment. The Land Transport Authority (LTA) has confirmed that a Pre-Application Feasibility Study (PAFS) on traffic impact will not be required for the site. The immediate vicinity is predominantly surrounded by Good Class Bungalows, landed homes and condominiums. 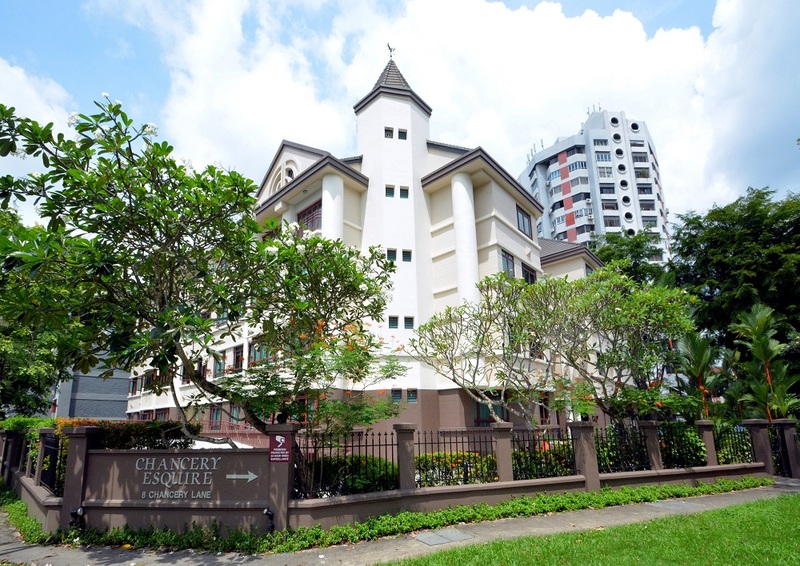 Many established schools, namely Anglo-Chinese School (Primary), Anglo-Chinese School (Barker Road) and Singapore Chinese Girls’ Primary and Secondary Schools are located within 1 km from the development. Less than 2 km away stand other well-known educational institutions, including Anglo-Chinese School (Junior), St. Joseph’s Institution Junior, St. Margaret’s Primary School, St. Joseph’s Institution, CHIJ Toa Payoh, Farrer Park Primary School and Catholic Junior College. Chancery Esquire is nestled within the exclusive Chancery estate, located strategically between Newton MRT Station and Novena MRT Station, with a wide array of amenities, food and beverage hubs and malls such as Balmoral Plaza, Newton Food Centre, United Square and Novena Square located close by. The development also has great accessibility to top notch medical facilities, with Mt. Elizabeth Hospital, Mt. Elizabeth Novena Hospital, Tan Tock Seng Hospital and KK Women’s & Children’s Hospital a short drive away. Major arterial roads as well as expressways such as the Central Expressway (CTE), Pan-Island Expressway (PIE), Bukit Timah Road and Dunearn Road provide seamless connectivity to other parts of Singapore. The site is a 15-minute drive to the Central Business District and approximately 20 minutes’ drive to Changi International Airport. The owners are expecting offers above their reserve price of S$86.6 million. Due to the high as-built GFA of 4,476.87 sq m, this translates to a land rate of approximately $1,797 psf ppr with no development charge payable, subject to URA’s development baseline search. The tender for Chancery Esquire will close on 2 August 2018, Thursday at 3 pm.